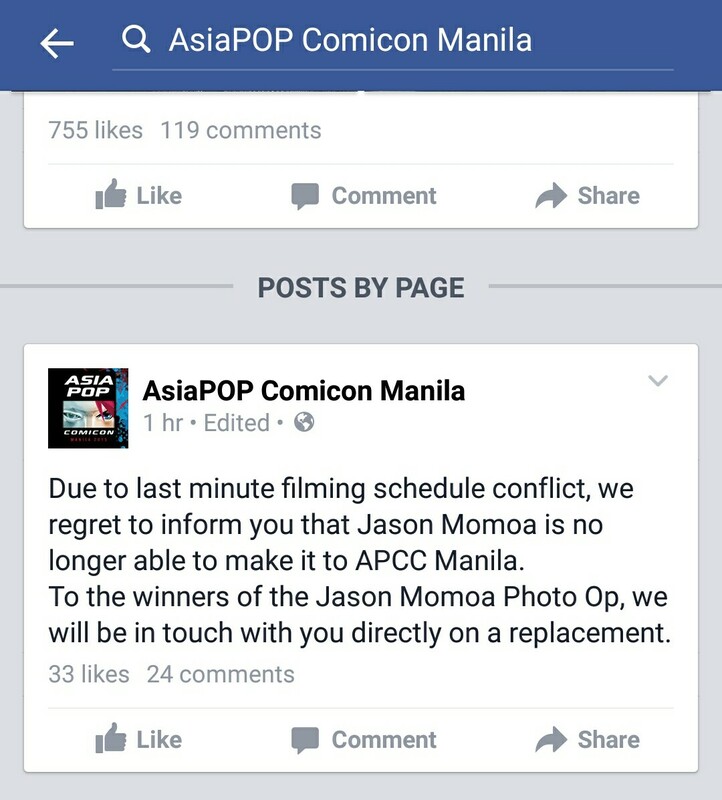 Looks like trouble is brewing as Jason Momoa has cancelled his trip to the Philippines for the Asia Pop Comic Con. That’s a bummer considering a few hours ago they announced that Paul Bettany aka The Vision from Avengers: Age of Ultron would be coming to town. Hopefully they lock on to the rest of their guests which also includes Arrow’s Colton Hayes. ← Uchi no Neko! Cat Café Craze Conquers Katipunan! Uchi no Neko! Cat Café Craze Conquers Katipunan!